Hypertension screening is taking on a new beat and will affect how millions are treated. The U.S Preventive Services Task Force (USPSTF) has released new blood pressure screening recommendations for clinical settings. 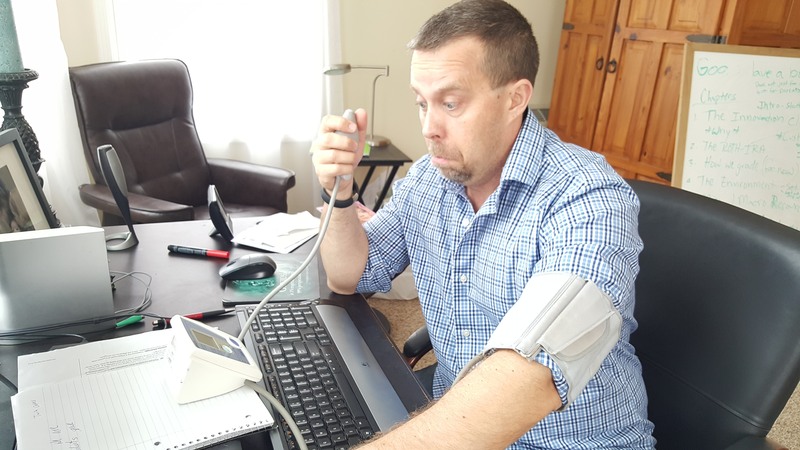 They suggest that before initiating medication therapy for high blood pressure, measured in the office, it should be confirmed with readings measured outside the office. Currently, we have 70 million Americans diagnosed with high blood pressure. Up to 21 million of those Americans might not be hypertensive if they had further monitoring. Consequently, we have a lot of people on blood pressure medication unnecessarily. On the other hand, we have patients, not on blood pressure medications that should be. Studies have shown about 10-15% of patients that had normal blood pressure in the office, actually had high blood pressure outside the office. This is called, “masked hypertension”. High blood pressure gone undetected may lead to serious health consequences such as heart attacks, congestive heart failure, stroke and chronic kidney disease. How Should Blood Pressure Be Screened? Blood pressure is not a fixed parameter. It changes throughout the day with activity, stress, emotions and consumptions of caffeine and nicotine. So a couple of blood pressures in the office, even repeated on another day, only captures a fraction of reality. That is why the Task Force (USPSTF) now recommends confirming high blood pressure readings in a clinical setting by ambulatory blood pressure monitoring (ABPM) or home blood pressure monitoring (HBPM). The ambulatory blood pressure monitoring is a small device worn for 24 hours. It automatically takes your blood pressure every 20-30 minutes as you go about your daily activities, including sleep. The device is then returned to the office where the data is downloaded and reviewed by the doctor. Non-ambulatory monitoring or HBPM needs to be taken twice in the morning and twice in the evening for 3-7 days. A good cuff monitor needs to be used. That would be an automatic upper-arm blood pressure monitor, approved by the Association for the Advancement of Medical Instruments. Wrist and finger monitors are not recommended. Ambulatory blood pressure monitoring is currently the heartthrob of blood pressure screening, but HBPM is a great contender as well. The USPSTF favor ABPM for a couple of reasons. First, ABPM takes several readings automatically throughout the day and monitors during sleep. Which research has found, patients with elevated blood pressures during sleep are at an even higher risk for cardiovascular events. Secondly, it is more efficient. The monitoring is done in 24 hours and turned into the doctor. Where the non-ambulatory (HBPM) is dependent on the patient taking the time to do the blood pressures for 3-7 days, and there is no sleep time monitoring. Furthermore, during self-monitoring, if a patient becomes anxious or obsessive about a high reading this can cause blood pressure to stay elevated. Downfalls with the ABPM. They are not widely available. You may have to go to a cardiologist for the device. Also, they are expensive, and your insurance may not cover the cost. So the USPSTF acknowledges that access to ABPM can be a problem and have concluded that there is adequate evidence to support HBPM is an acceptable alternative to outside monitoring. USPSTF recommends yearly ABPM for individuals with one or more risk factors: Above 40 years old, an initial high-normal blood pressure (130-139/85-89 mmHg) in the office, African Americans at any age, overweight or obese. USPSTF recommends ABPM every 3-5 years for individuals age 18-39 with blood pressures above optimal level (120/80 mm Hg). Take away point. The pressure of doctor visits may make you temporarily hypertensive. So don’t fret and start medication in a heartbeat. Talk to your healthcare provider about confirming, outside the office. This entry was posted in fitness, Healthy habits, hypertension, Uncategorized. Bookmark the permalink.